Ticks… Is your dog at risk? Ticks will begin to search for a host to feed from (this is called questing) when the temperature reaches 4 degrees. Ticks feed on blood and can engorge to a very large size over several days. Unlike fleas which spend most of their life on a host, ticks spend most of their life in the environment and are often found under leaf litter, in tall grasses and in forested areas. There are 40 species of ticks found in Canada, luckily only a couple have the potential to transmit disease. Until this year, there were not many safe, effective tick preventives available. This year new medications have been released that are both safe and effective. Our current product of choice is Bravecto. This is a chew that you give to your dog every 3 months. During the 3 months Bravecto kills both ticks and fleas. Because it is given orally the efficacy is not effected by swimming or bathing. It starts to kill fleas within 2 hours and pro actively kills ticks before they have time to complete a feeding, become engorged and transmit disease. 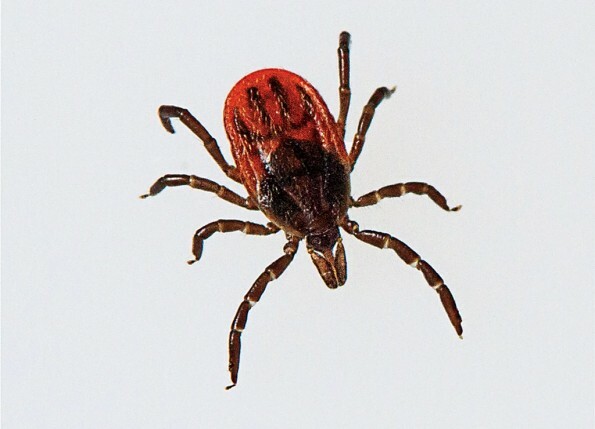 If you are concerned about ticks, or if your dog is playing in a high tick populated area we encourage you to speak with your veterinarian about tick preventive options. Remember, prevention is key.